Nelson also tweeted out an ActBlue link for people to give donations for hurricane relief on his website. "The devastation from #HurricaneMichael is widespread across the Panhandle and Big Bend in Florida," Nelson tweeted. "Anything you can give to these nonprofit organizations will help people with needed relief." ActBlue, a federally registered political action committee that was launched in 2004, has called itself "the online clearinghouse for Democratic action." "ActBlue is a nonprofit, building fundraising technology for the left," the organization says on its website. "Democratic campaigns get more donations through ActBlue than any other platform." "A majority of Democratic Senate and House campaigns—along with the DCCC, DSCC, DGA, over one-third of statewide campaigns, and advocacy organizations around the country—have chosen ActBlue," the website adds, noting that the organization has raised $2,862,403,745 for "Democrats and progressive causes" in 14 years. The National Republican Senatorial Committee slammed Nelson for his "desperate attempt" at trying to win reelection next month. 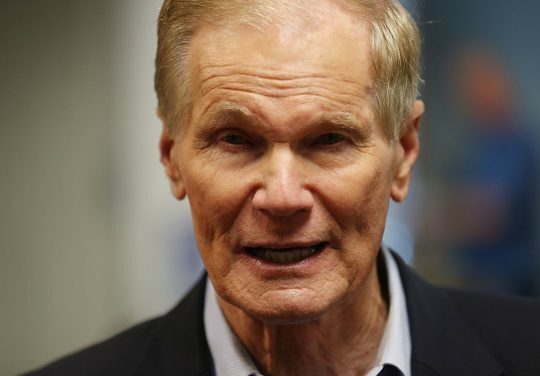 "Bill Nelson has reached a new low in a desperate attempt to save his political career," said NRSC spokesperson Camille Gallo. "While Floridians were trying to save their homes and lives, Bill Nelson used this tragedy as an opportunity to save his taxpayer-funded job by shamelessly using disaster relief efforts to bolster his fundraising operation." This is not the first fundraising email that Nelson sent this week. He sent multiple emails to voters who were within the path of the hurricane with bolded statements, including the captions "Losing Florida would cost Democrats the Senate" and "We can't win without your immediate donation, friends." Nelson also received backlash last year for trying to fundraise off Hurricane Irma. In an email at the time, Nelson attempted to raise money off his decision to urge major airlines not to raise fare prices with the storm coming toward Florida. Nelson, a three-term senator, faces Florida Gov. Rick Scott (R.) in his reelection bid next month.